Mainz - TSG 1899 Hoffenheim will need to shake off poor away form and turn the tide of the history of their encounters with 1. FSV Mainz 05 if they want to ease away from the relegation zone on Friday (kick-off: 18:30 GMT/20:30 CEST). 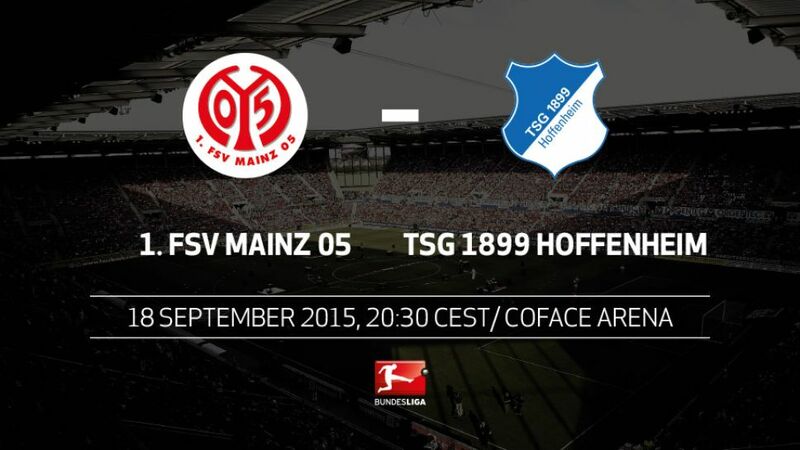 Hoffenheim are Mainz’s favourite Bundesliga opponents. Der Karnevalsverein have won six and lost just two of the 12 top-flight meetings between the pair.Mainz have not registered a draw in their last 11 Bundesliga outings. They last shared the spoils on 4 April at SV Werder Bremen (0-0).Mainz prevailed 3-0 at Hannover 96 in their last home game - but since Thomas Tuchel’s departure, they have never won more than two successive matches at the Coface Arena.Hoffenheim have won just one of 11 away games in 2015 (1-2 at Hannover 96 on 25 April).Loris Karius has stopped a Bundesliga-high three penalties in the last 12 months.